Get Ready! 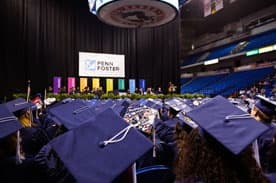 Penn Foster’s 2019 Graduation is Almost Here! You’re working hard to learn everything you can and pass your exams all while you balance the rest of your busy life! Your effort shouldn’t go unnoticed. Celebrate your success at our 2019 graduation ceremony on June 1, 2019 at the Mohegan Sun Arena in Wilkes Barre, PA! 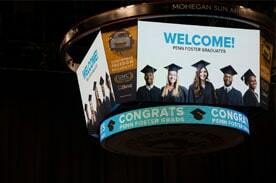 The 2018 Penn Foster Graduation was held on June 2nd, 2018 at the Mohegan Sun Arena in Wilkes-Barre, PA. Over 3,000 people registered for the event, making it our biggest graduation yet! We had graduates come from all over the country - and even internationally - who wanted to celebrate their achievement in person. 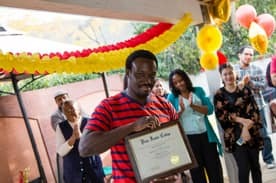 Our keynote speaker, John Valverde, YouthBuild CEO and high school graduate/performer, Quintavious Johnson made the day one to remember! Can you believe that graduation is almost here? 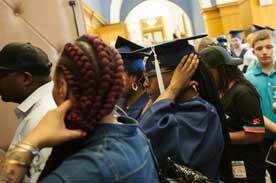 All over the country, schools, colleges, and universities are getting prepped to celebrate and commemorate the accomplishments of their graduates. Penn Foster is no different! While you’re getting ready to walk the stage, make sure you double check that you have everything you need with this handy list! June 2nd is the 2018 Penn Foster Graduation! Wherever you are, celebrate your success in a BIG way; you’ve earned it! At Penn Foster, graduation is all about feeling connected to your fellow grads, recognizing your accomplishments, and getting noticed by the #PFproud community. Graduation is right around the corner, and it’s officially time to get excited! 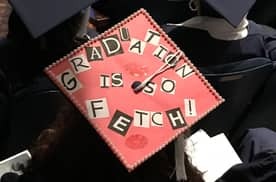 The grad-season spirit brings out the fun in us all, and what better way to ease those big-day jitters then by starting a small, relaxing art project. Though you’re sharing this event, it’s still your big day. If you’re looking to stand out and add your own personal touch to shine among the crowd, decorate your grad cap!